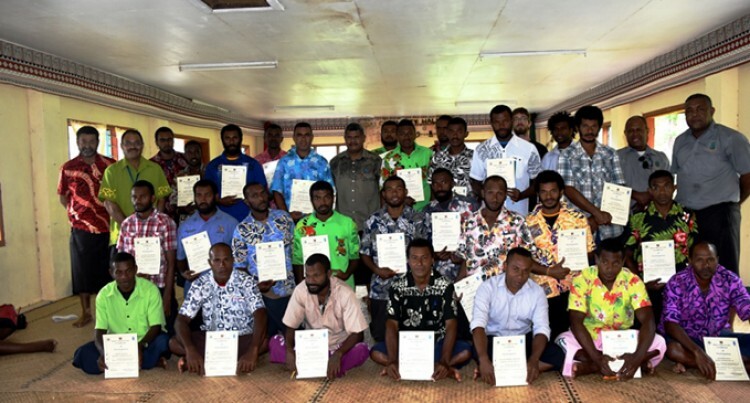 29 young men from the Tikina of Nakorotubu in Ra Province benefitted by the rehabilitation programme organised the Ministry of Fisheries and Forests. Speaking to the participants, Deputy Conservator of Forests, Semi Dranibaka said their major role in ensuring the communities were able to have access to more land for planting purposes. He said the skills gained from the workshop, they can apply for construction of new houses. “We are also grateful to United Nations Development Programme for their kind gesture in handing out chainsaws and protective gear namely to the villages of Saioko, Namarai and Verevere that are represented here at the workshop,” Mr Dranibaka said. “This is indeed a great partnership between Government, UNDP and the communities at large and one that will continue into the future. Mr Dranibaka added that it was the first phase of training and the Ministry would be conducting more of such workshops in the coming months. Vilikesa Nawaduadua of Namarai Village is thankful for the opportunity to have attended the workshop and says that he will work hard with other youths in the village in rebuilding their village to normalcy as soon as possible. The workshop was funded by the United Nations Development Programme (UNDP) from the 18th -22nd April in Namarai Village in Ra past week.